Make your own version of the stunning Victoria earring. 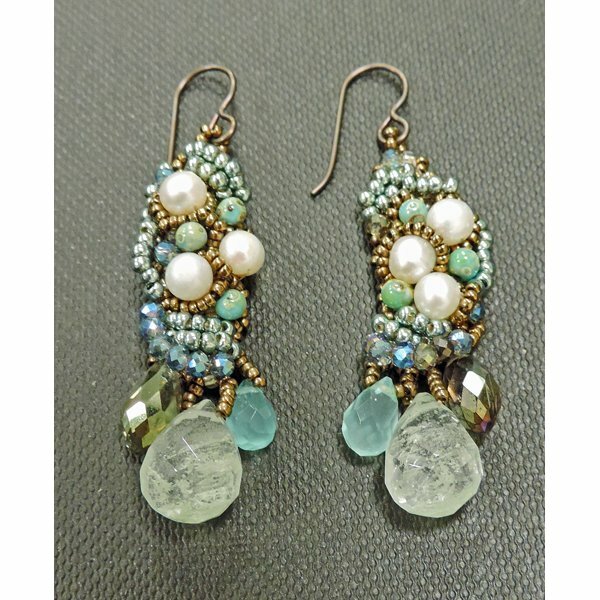 Learn how to successfully combine a variety of gems with a brick stitch base and artful placement of stones using a foolproof formula. Make additional components to create a romantic necklace.